Architecture is a very competitive field, where a large number of applicants are competing for a small number of jobs. Additionally, about 45 percent of all architects are self-employed, which can be a real struggle, bouncing from one freelance gig to another and bidding on projects. 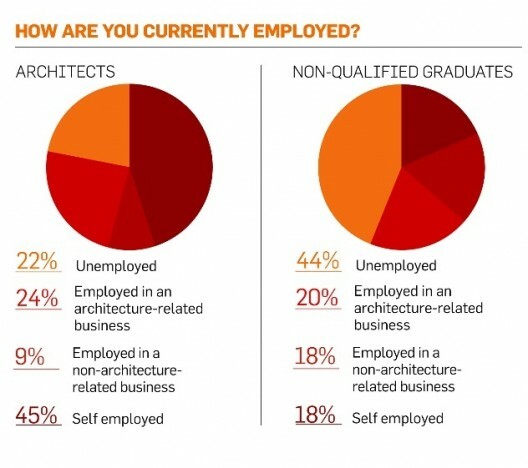 An additional 24 percent are employed in an architecture-related business, which likely includes construction. One blueprint can be used on hundreds of houses, but every one of those houses needs a foreman, and every one of those houses needs an HVAC crew. In 2012, the Bureau of Labor Statistics estimated close to 400,000 1 available plumbing, pipefitting, and steamfitting jobs with incredible growth and over 260,000 2 in the HVAC and refrigeration field. In just two areas of construction, we already have over half a million jobs, compared to just over 100,000 3 jobs in total for architects. While you may not be able to build a house in one day, being on a jobsite daily erecting walls and installing pipes and wiring, you can see the fruits of your labor almost instantaneously. Before long, you’ve helped to create a house that wasn’t there before. In architecture, you may be dealing with a lot more of the red tape: Big architecture projects can grind to a halt thanks to forces beyond your control before ground has even been broken. Take a look at NYC.gov and you’ll find weekly updates on stalled construction plans. A dream project for an architect designer can be put on hold indefinitely. The benefits of being in construction are that if you’re the plumber who gets called in to install a sink, you’re likely not dealing with any real work until it’s time to install that sink. You get to avoid the bureaucracy while still being a vital part of the operation. When you go to the movies, you often see architects leaning over drafting tables creating brilliant and innovative designs. In reality, that’s a very specific type of architect known as an architect designer. A first hand report at Life of an Architect lays out some surprising, perhaps disappointing realities of the work. Very few architects get to sit at the drawing board all day. 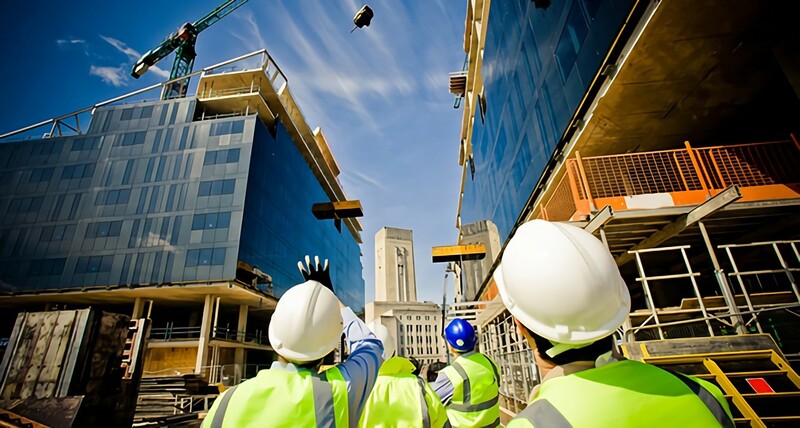 Many architects work in construction detailing and project management. They spend a lot more time talking with and billing clients, arranging job sites and hiring people than they do designing houses and skyscrapers. For true designers and artistic types, the long and grueling process of becoming an architect may be right up their alley. But if you want to get involved without as much time and money spent on education and hunting down clients, then you may want to look into other areas of construction while bringing your architectural knowledge to the job with you.